Below are all the drivers and the vehicle they used to attain membership in this elite group. Mathew stunned the crowd by becoming the first participant to achieve this goal. This 2008 Suzuki Hayabusa 1300 Turbo crossed the finish line with a impressive speed of 205.46 mph. On the last day of the 2017 event, after lots of adjustments and testing, Cal finally reached his 200 mph goal. 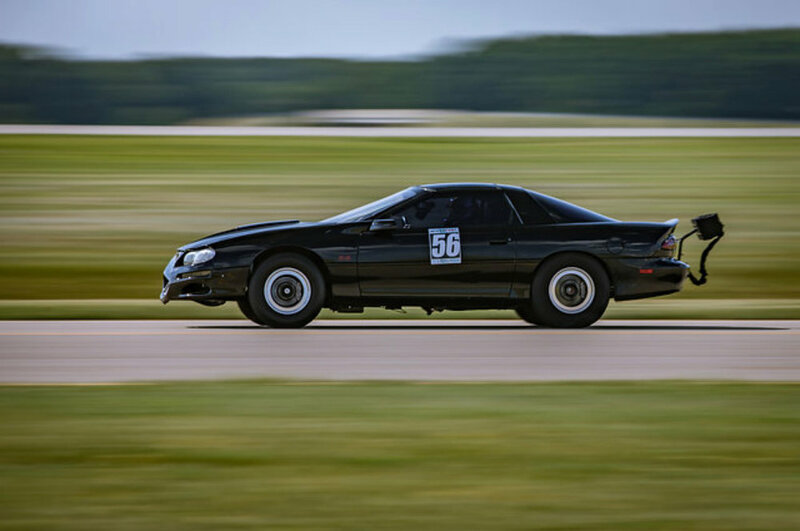 He typically races in 1/4 mile events, and this vehicle is certainly capable of doing even more. This car is best known in the area as "Pinky". Jeff made a last minute appearance and right off the trailer ran 206.61 mph! He followed it up with his 2nd pass of 207.24 mph and capped the day off at 207.87 mph, becoming the fastest participant through 2017. Kenny had a lot more in this vehicle than what the mph shows, and he surprised us all on his very first run with 205.99 mph! 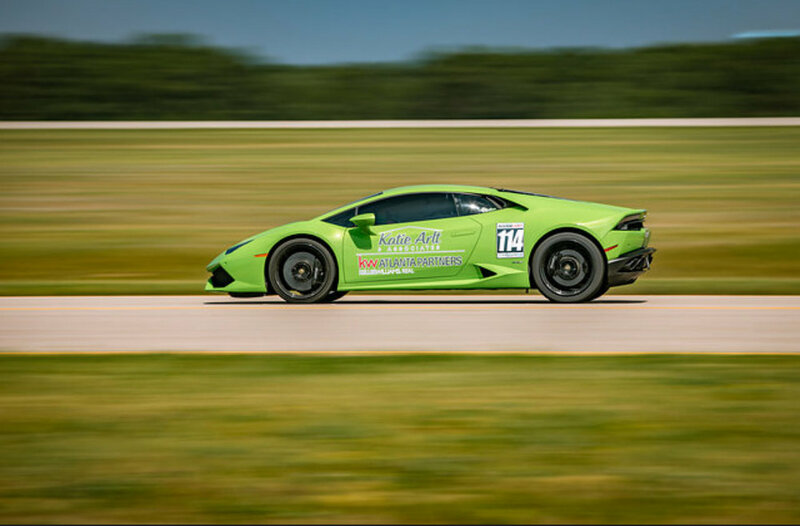 He was the first 2018 participant to surpass the 200 mph mark, and did so in less than ideal weather as participants had to fight 110 degree weather (130 degree track temp) and a 15-20 mph headwind. We look forward to seeing him in future events! David is a member of the Dallas Performance team that made the trip up from another event in Atlanta, GA. David didn't waste anytime joining the club, putting up 226.52 mph in his first and second passes. He finished with his fastest pass of 231.12 mph. Dallas Performance owner Taylor Sims took out the shop car for few impressive passes. On the first pass Taylor ran 217.13 mph. After some tweaking, he was able to make a 232.34 mph pass, within 1 mph of the Huracan DCT transmission world record of 233.52 mph. He tried one more time and came so close with a pass 232.78 mph. We look forward to seeing Taylor again next year and hopefully see a new world record! 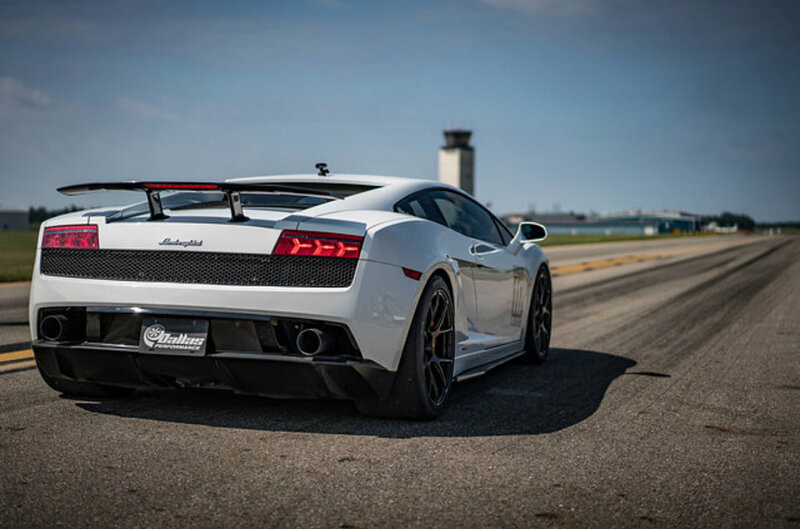 Jason set not only the Speedfest record, but the world record for an E-Gear transmission Gallardo with a speed of 241.35 mph. Like the other Dallas Performance participants, Jason participated in another 1/2 mile event few days prior to this one. This goes to show how reliable and well built these cars are even when going all out! Jeff returned this year, debuting his Dallas Performance built Huracan. Listing the horsepower as "it depends", this beast has more than enough to make a solid name with more time in the seat. This was Jeff's first time driving this vehicle, and he said it's "really fast" even with boost turned way down. Taylor mentioned it has a lot more in it but in time will start turning it up and up once Jeff gets comfortable. Those who know Jeff he's a speed freak so for someone to say it's really fast, I trust him. He also brought his 2018 Audi R8 TT built by Dallas Performance, which he ran just shy of 200 mph with a 198 mph pass.